You can find Anandapur Food Cafe as you near Expedition Everest in Animal Kingdom. The food stall has no distinctive name on it. As you get closer, you can smell the delicious aroma of chicken. This cart, grouped with the other seasonal and quick stops in the Anandapur area of the park, sells the most delectable pieces of boneless chicken wings you'll ever eat. There are three flavors to choose from: Teriyaki, Sweet-and-Sour, and Chili Garlic. Drinks and bottled water are also available and you can choose to add prepackaged apple slices or chips to your order. Anandapur is a great quick service location for a quick, filling snack. 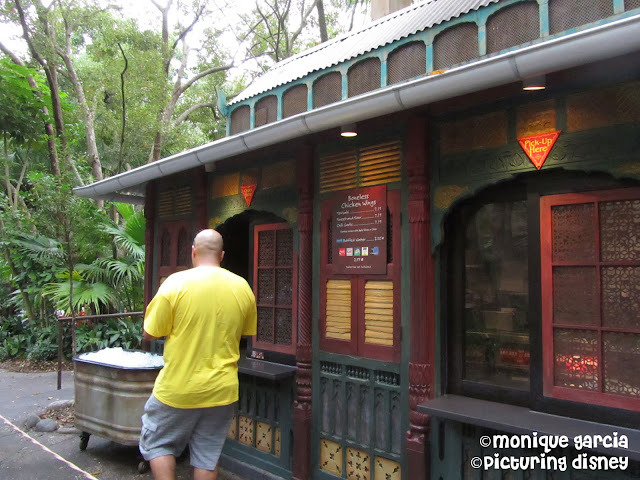 It is one of my favorite places to eat while visiting Animal Kingdom.